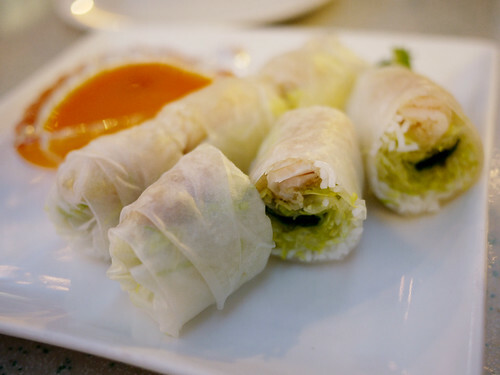 You don't often see Vietnamese summer rolls made with fish, but it exists. We discovered some today at Xe Lua, accompanied by a tart and slightly spicy mango sauce. The sauce is kind of odd, at first it tastes like candy but then it dissolves into blandness. The fish summer roll itself was nice, maybe ask for nuoc cham or a peanut sauce instead.